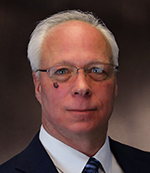 DEP Commissioner McCabe gave testimony before both the Senate and Assembly budget committees in the last two weeks. While speaking generally about the Murphy Administration’s policies on climate change, environmental justice, and holding companies responsible for the pollution they cause, the Commissioner did address several specific issues that could impact the business community. Fees: NJBIA has been pushing the DEP to address the high cost of its permit fees, especially for water discharges (NJPDES). These fees are particularly high in comparison to neighboring states. In response to questions we suggested, both committees pushed the Commissioner on this point. While it may not be feasible to reduce the overall fees collected under the NJPDES fee program, it may be possible to restructure the program so that businesses do not pay a disproportionate share and fees can be more predictable from year-to-year. Commissioner McCabe committed to reviewing the NJPDES permit fees and making regulatory changes. Permit Process: The Commissioner recognized that the time it takes to get a permit can be as important as the cost to comply with that permit. She also recognized that one way to lower the cost of a regulatory program is to become more efficient. To that end, she stated that the DEP is committed to implementing a “Lean Six Sigma” process across all regulatory programs. Currently, she said, DEP has “one black belt” on staff and she is working on training others within the DEP. C-1 Stream Designation Rule Proposal: The DEP recently proposed a rule to reclassify 749 miles of streams as Category-1, the highest stream designation. Being a C-1 stream results in larger buffers along those streams and limits any new development in the watershed. NJBIA is reviewing the proposal but has testified that this rule did not go through a stakeholder process and was not adequately analyzed for economic impacts. Legislators questioned her on this proposal. Commissioner McCabe promised to review our concerns and determine if further stakeholder meetings or an extended comment period is warranted. Climate Change, RGGI, and Electric Vehicles: Climate change is perhaps the key focus of the Murphy Administration’s environmental and energy agenda and thus of Commissioner McCabe’s DEP. Governor Murphy has already issued Executive Order No. 7 requiring the State to re-enter the Regional Greenhouse Gas Initiative (RGGI) and the DEP has proposed regulations to do so (https://www.nj.gov/dep/rules/proposals/20181217b.pdf). NJBIA has opposed this effort as another energy tax and unnecessary to achieve carbon reductions. Commissioner McCabe believes the RGGI rules will be adopted within the next two months allowing time for the RGGI states to formally approve New Jersey’s re-entry and for the State to participate in the allocation auctions in 2020. Commissioner McCabe also stated that the State’s carbon reduction goals cannot be met without addressing the transportation section, which accounts for about 45% of all GHG emissions in New Jersey. Crucial to the strategy will be the promotion of electric vehicles. Commissioner McCabe said that 15% of the Volkswagen settlement (nearly $11 million) will be used for charging stations. This is in addition to the monies already spent under the DEP’s “It Pays to Plug In” program. DEP is also working with the Board of Public Utilities on a larger EV implementation strategy. Clean Energy Funds: Commissioner McCabe touted the fact that Governor Murphy’s proposed budget eliminated the diversion of tens of millions of dollars from the Clean Energy Fund to the General Fund. Still, $87 million is being proposed for diversion in the FY 20 budget. The NJBIA has historically been opposed to any diversion of these monies. The Clean Energy Fund is part of the societal benefit charges placed on electric bills, which makes up about 27% of the total bill. NJBIA generally opposes the imposition of any of these charges. However, if they are going to be imposed, we want them to at least be spent for their intended purposes, including energy rebates to businesses. Despite the Commissioner’s pronouncement, she was reminded by the Senate Budget and Appropriations Chair, Senator Sarlo, that the decision to divert monies or not will rest with the Legislature and that decision has not yet been made. NJBIA will continue to monitor the disposition of the Clean Energy Fund monies. Under the State Constitution, the budget must be adopted before July 1 each year. 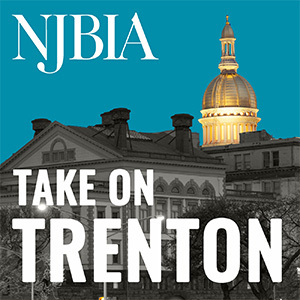 NJBIA will continue to monitor all aspects of the budget process.